It seems such a simple thing: say a few words and pull off a piece of dough. Yet this action – the mitzvah of hafrashas challah, taking “challah” off the dough — can bring unimaginable blessing to our homes and our lives. 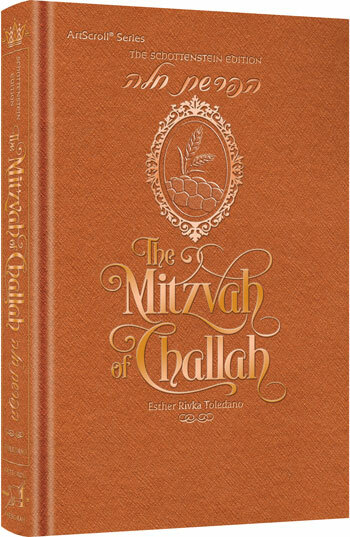 A special chapter that gives all the reasons people say they can’t bake their own challah – and all the ways they will see that they can! We Jewish women bake so much into our challahs — our hopes, our prayers, our deepest yearnings alongside the yeast, flour and oil. As we recite the berachah and pull off a piece of dough – a remembrance of the times of the Beis HaMikdash, when it was a gift to the Kohen – we are helping to make the world (and our own lives!) a better, more beautiful place to be.